Evolution Gaming has taken their live games to an extra level, when they joined forces with Hasbro the creator of the famous board game Monopoly. Believe it or not the first Monopoly board game was available on the market in 1935, and some would say that it’s older then our grand parents! The traditional board game is played with 2 dices and the aim of the game is to bankrupt your opponents. Evoluttion Gaming has combined the features of the board game and their famous Dream Catcher live game. 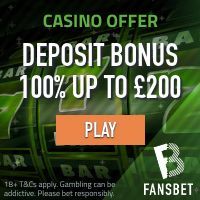 Players can choose to bet from as little as 0.10 up to a maximum of €2,500. Players will have to guess where the fortune wheel will stop by placing their bets on either 1, 2 , 5, 10, 2 Rolls or 4 Rolls. If the wheel stops on the number chosen by the player the win will be multiplied according to the selected bet: 1 x 1 Stake, 2 x 2 Stake, 5 x 5 Stake, 10 x 10 Stake, and the Bonus game rolls. There is also 2 segments with Chance! If the wheel stops on the chance segment, the players will be c=given a card with wither a bet multiplier or a cash prize. To participate in the Bonus Game players will have to place a bet on Bonus Game 2 Rolls or Bonus Game 4 Rolls. There are 3 segments with 2 Rolls and only 1 segment with 4 rolls. 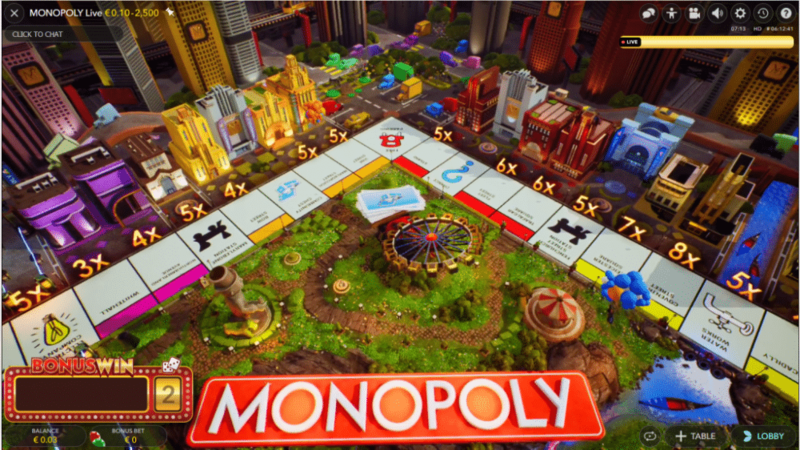 If the wheel stops on either bonus game, Mr Monopoly will take the players to the bonus game which is a 3D version of the traditional board game, and players will get to see all the features available, including, Go, Utilities, Community Chest Fund, Jail, Railways, Chance and Free Parking. Mr Monopoly will roll the dice and walk through each step according to the outcome of the dices. If the dices are doubles, Mr Monopoly will roll again! There will be a muliplier on each step which will decide the rewards that the players will be given. There will be 2 rolls when the wheel stops on the Bonus Game 2 Rolls and 4 rolls for the Bonus Game 4 rolls respectively. Yet another unique live game for Evolution Gaming which makes them shine upon other live casino games providers. We are sure that those who love playing on live games especially on Dream Catcher will be thrilled with this game. 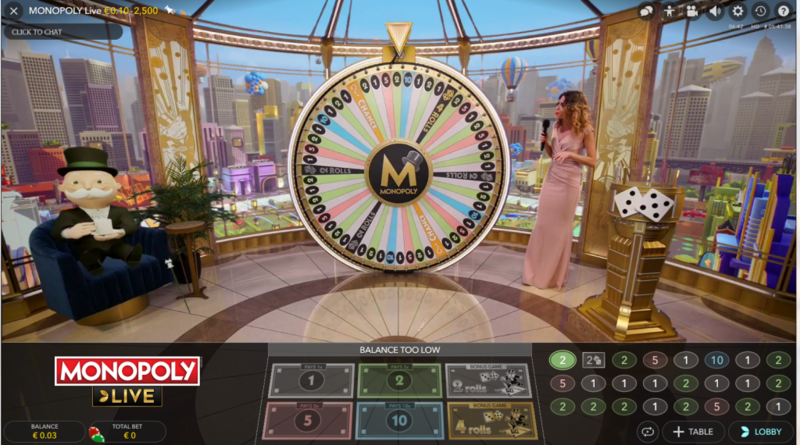 To start of with Evolution Gaming will launch Monopoly Live on selected operators, but we are sure that in the near future Monopoly live will be available across all the network! Feel free to share your thoughts about this live casino game by simply register an account and submit your comments. Monopoly Live will be available on the 28th of March. 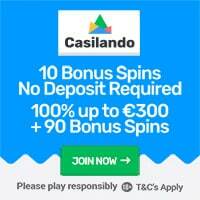 « April Cash Showers at Casumo!